Revaluate thinks there is a battle, but it’s probably not between these groups. It’s between the “cool” and the “those who think they’re cooler than cool.” Or something like that. Ice cold? What? Why are we suddenly humming “Hey Ya”? Nowhere is this battle evidenced more than in New York City, where there’s no end to the discussion of which neighborhood is the best, the most hip, or the coolest. If Hipster wisdom in all its cowl-necked, bearded, hacky sack-kicking glory is to be believed, the only place in New York that’s cool is Brooklyn. But we’re here to look at someplace else. We’re here to look at the reemerging cool on (wait for it) the Upper East Side. Maybe it’s not cool … yet. It could be just tepid. We’re not sure. But it’s getting there. Yes, we know that the Upper East Side has long been the great bastion of the privileged and has, in the past, been strung out as New York’s anti-cool. But those times, people, seem to be a-changing. We’re here to say that the Upper East Side ain’t all that bad. Yes, seriously. The Upper East Side, situated between Central Park/5th Avenue, 59th Street, the East River, and 96th Street, is home to such enclaves as Lenox Hill, Carnegie Hill, and Yorkville. And if you were to ask New Yorkers, and we did, many of them would tell you that the Upper East Side is one of the few truly authentic New York City neighborhoods left. The Upper East Side is devoid of the pretense that comes along with hipster strongholds like Brooklyn or The Village. It’s not an area that’s been reinvented by some real estate magnate. Over the past several years, there’s been an influx of youth here. Sure, the UES is a stalwart of the wealthy and privileged, but its rents, when compared to areas downtown, make economic sense and are becoming the smart choice for people who want a great neighborhood, but who cannot and will not ante up the Benjamins for housing in Williamsburg. The Upper East Side has more to offer than just monied families. Probably. Today, the UES means culture. 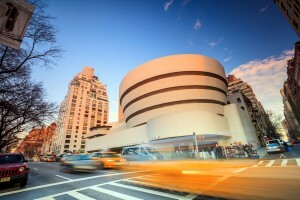 It means museums (did you know that Andy Warhol’s first studio was here? ), it means great restaurants, it means diversity. Could it also mean privileged fraternity types bedecked in khaki shorts and boat shoes? It’s possible. But, really, can’t we all just get along? On the Upper East Side, you’ll find in-demand spots like the Meatball Shop, The Mark, and Jones Wood Foundry commingled with high-end locales like Cafe Bouloud and Laduree (which are totally chi-chi fa-fa, but delicious all the same). You’ll find an atmosphere that’s “establishment” on one end, but on the other, enjoyable and, dare we say, relaxing. Yes, folks, the Upper East Side is friendly and, yes, it is cool. Ish. Since the beginning of the decade (are we calling this The Teenies? ), there’s been a steady stream of young up-and-comer types moving to the Upper East Side and now they’re starting to come into their own. Now, you’re likely to find a-listers like Emma Watson, Daniel Radcliffe, or James Corden getting a bite to eat, shoulder to shoulder with regular people, and all of them are there, quite simply, to take a load off after a long day. The Upper East Side is changing, folks. And it’s to be changing for the better. New life that’s classy and that has a bit of edge is taking hold here, and Revaluate thinks it’s time to take a fresh look. The Upper East Side: it’s cooler than you thought. 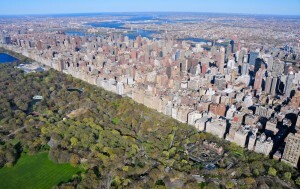 Find a No Fee Apartment on the Upper East Side with our cool map. Enter any Manhattan Address for a detailed livability report and score. She has the skills and the quills. Revaluate Digs Smart People. It’s True. When is the Best Time to Rent an Apartment in NYC?